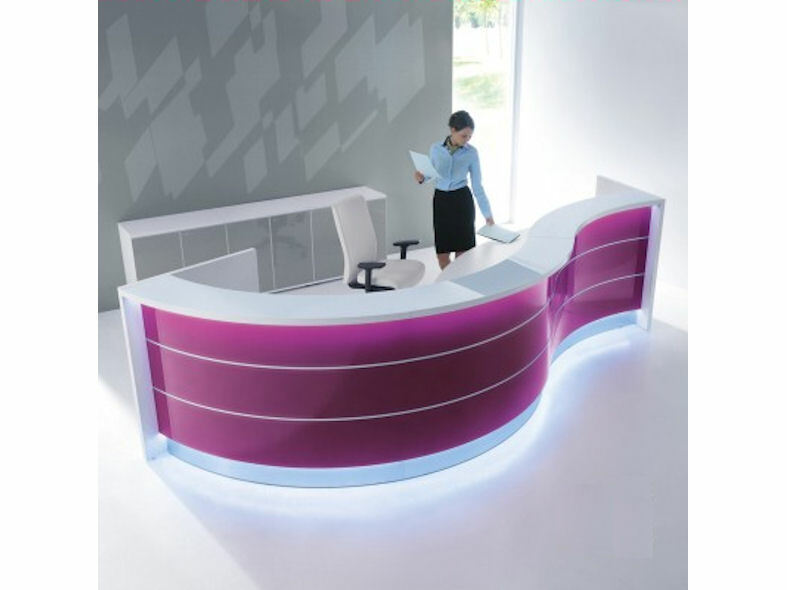 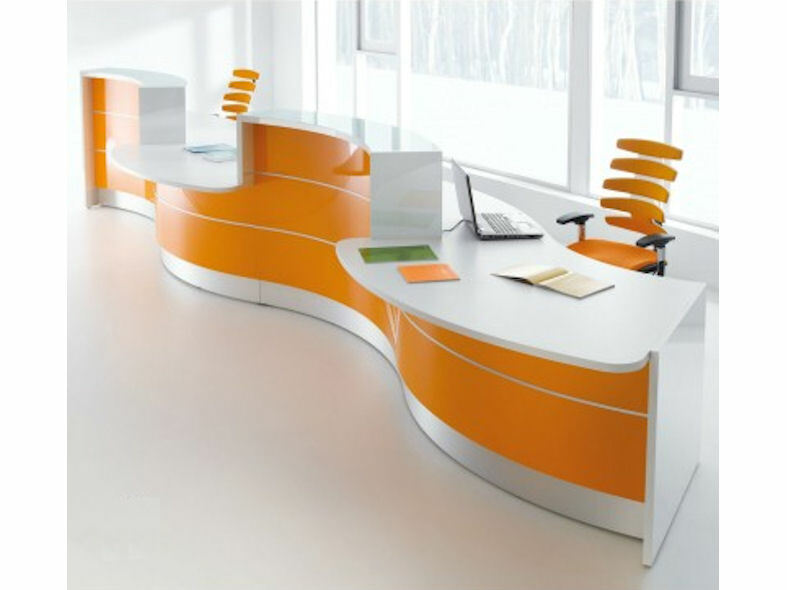 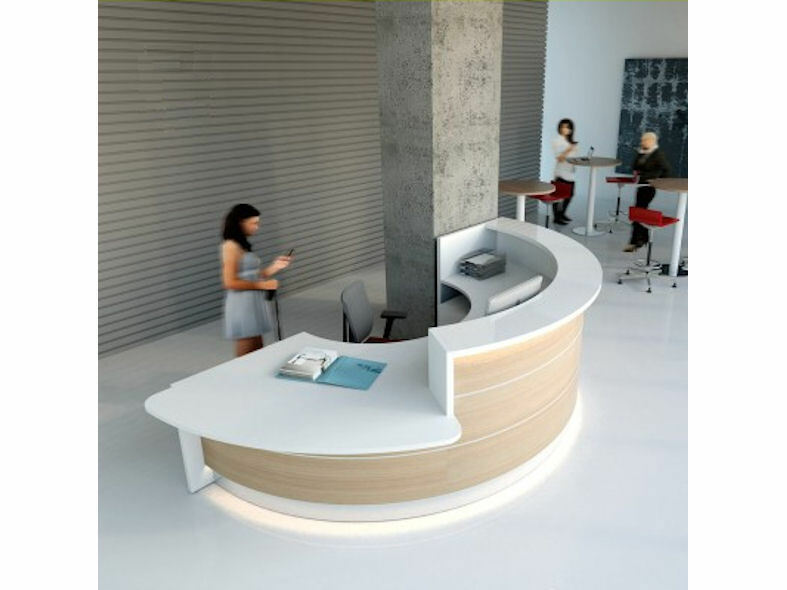 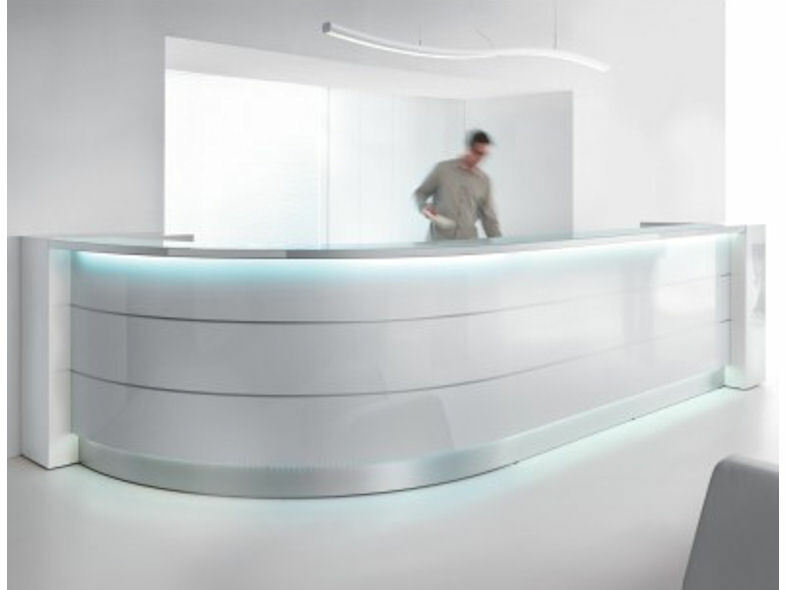 MDD Valde reception desk has a 90 degree curved end and a straight element. 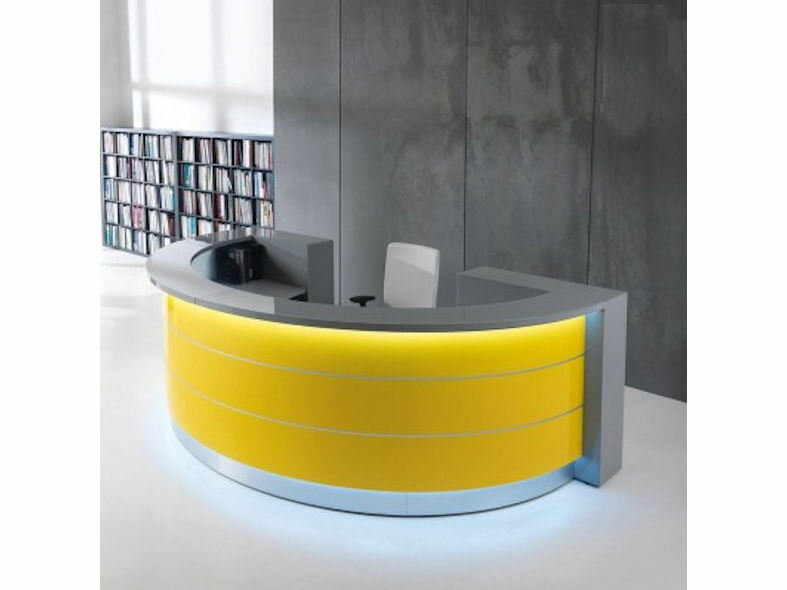 Other features include a two end counter top with hinged door storage pedestals, two desk top cable ports and LED lighting of the front panel and recessed skirting. 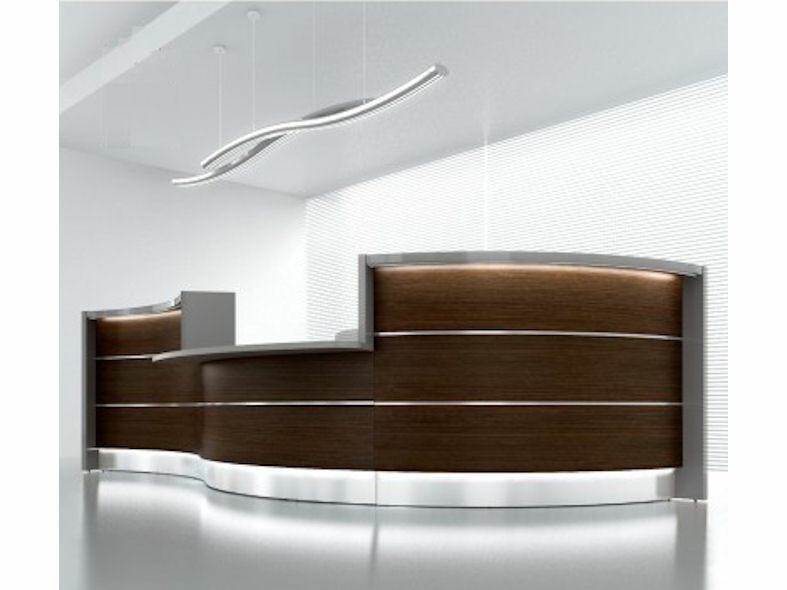 Valde reception desks have HPL high pressure laminate front panels in any of the following solid gloss colours; white, orange , green, burgundy red, yellow, fuchsia, chestnut and Canadian Oak. 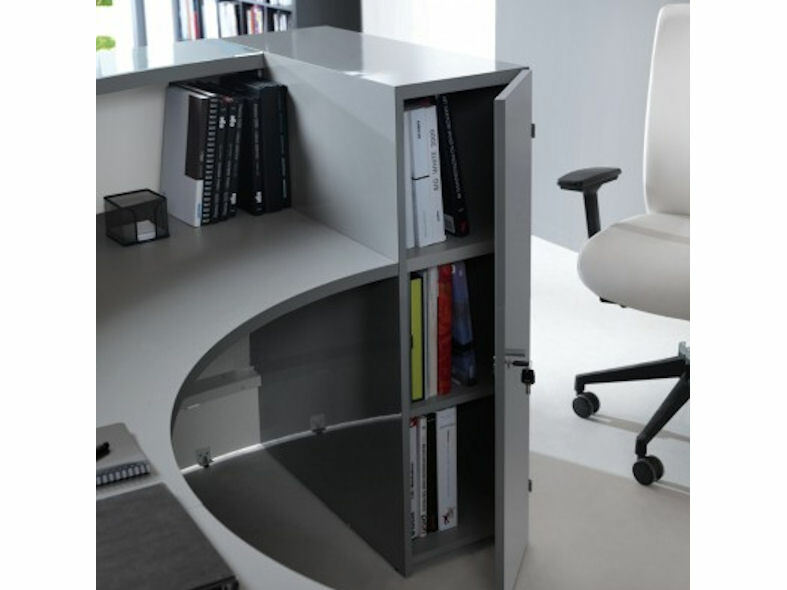 The Internal desk top and end counter top storage pedestals are available in a matt white melamine and the recessed skirting is finished in a satin aluminium laminate with two plastic flush circular cable ports in white.